Recently there has been a buzz going on in the crafty cyber world about wall art done completely out of frames. I have been known to pin a few and thought I would do my own wall. I started collecting frames before we moved into our new home and had the perfect spot in mind when the time came. 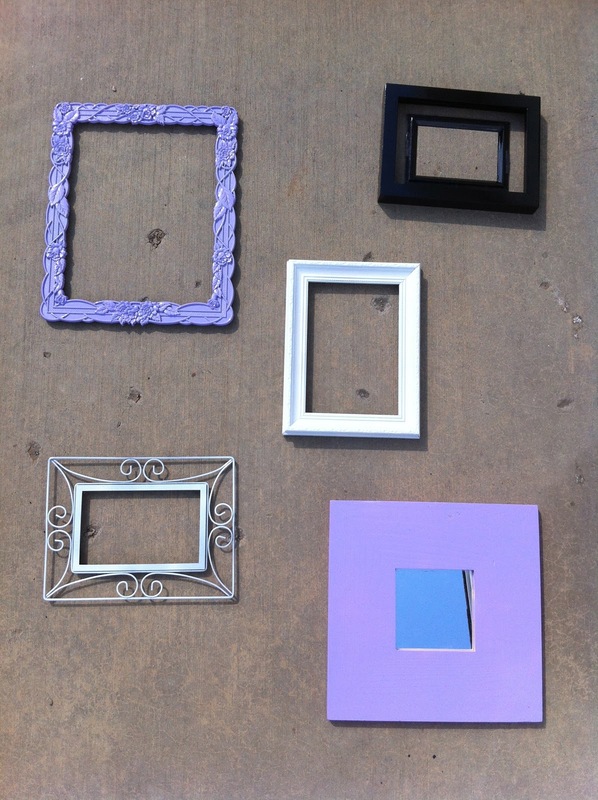 The frames I collected were made of all different materials and shapes and that's what I really wanted. Now all they needed was a quick coat of paint. 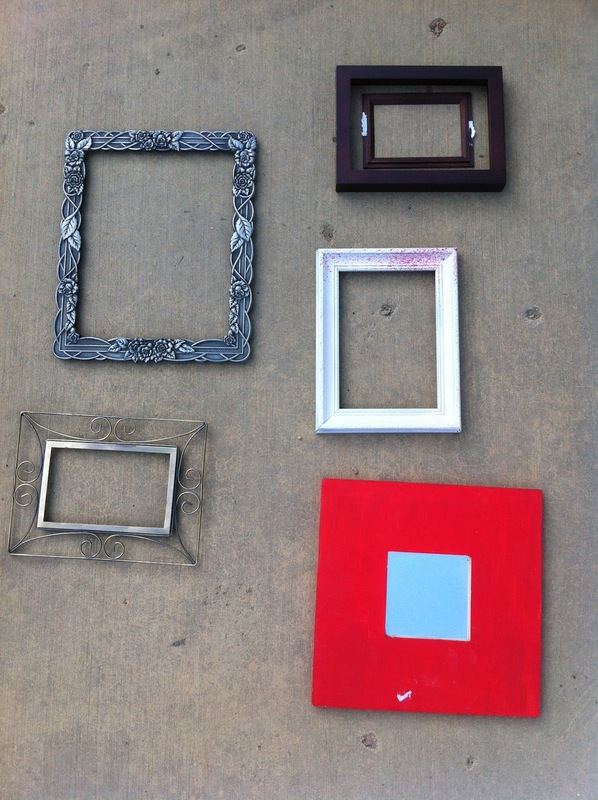 I continued to collect and add a few more frames to the mix. I love how a simple frame can turn into a wall of art.